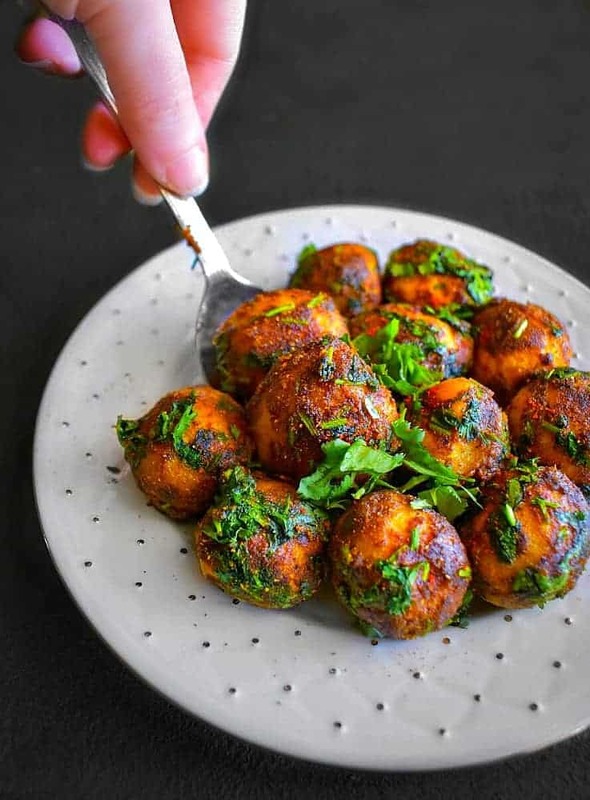 Spicy Indian Potatoes with Cilantro: pan roasted potatoes in a mix of fresh cilantro, basic spices + curry powder. 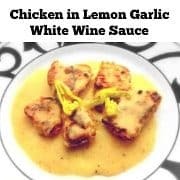 It has an amazing lemony-cilantro flavor that’s perfect to perk up the taste buds. 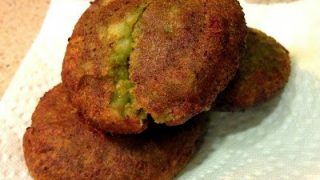 Also known as ‘Dhaniya Wale Aloo or Chatpate Aloo’, which is a popular recipe from the northern part of India. 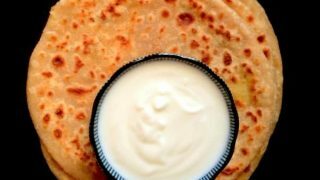 Best served with fresh paratha or hot rotis (Indian flatbread) or steamed rice. 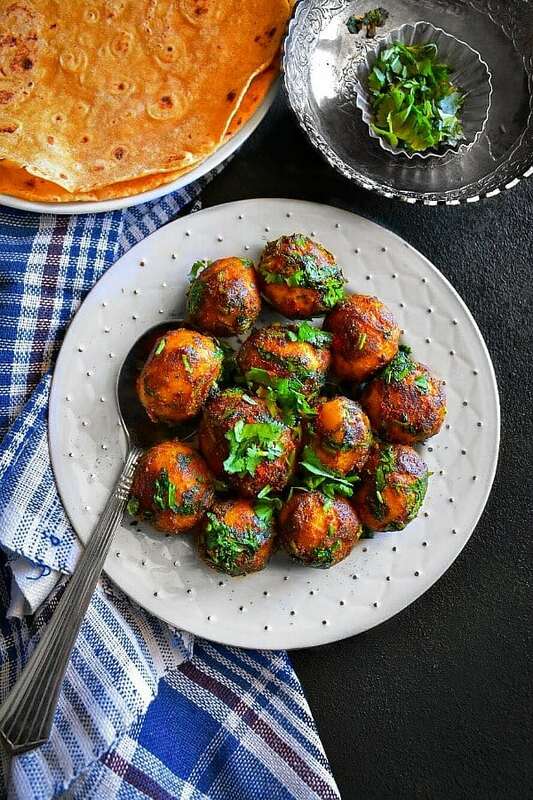 Weekend nosh is always special and for this weekend we made these Spicy Indian Potatoes with Cilantro. I also call them ‘Knock Your Socks Off’ recipe !! 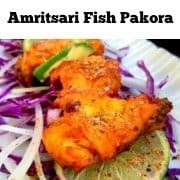 It’s this spicy-lemony-cilantro flavor that hits your taste buds with this deliciousness that you just can’t stop eating them. 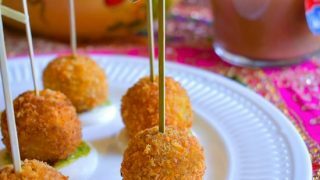 You need to try these once and the flavors-taste would literally make you a potato lover (if you’re not one). 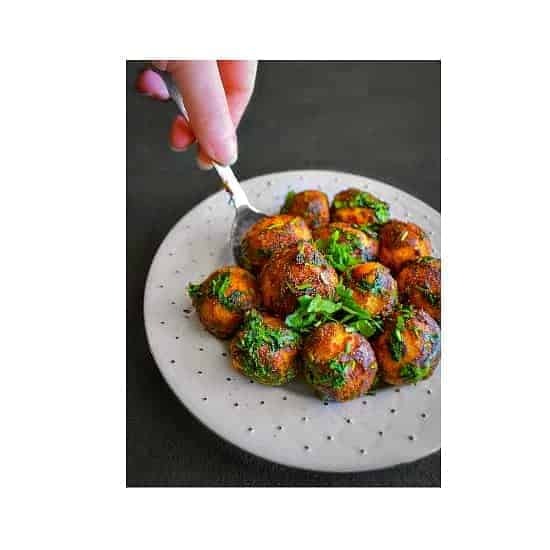 This is my recipe which has turned many ‘Oh Thanks, I don’t eat potatoes‘ to ‘OMG, I love them‘. 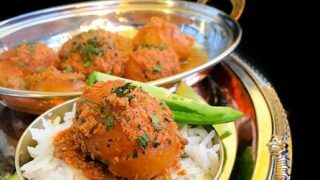 Now, these Spicy Indian Potatoes with Cilantro are an extremely popular potato recipe in the northern part of India. I can still recall that they were made almost once every two weeks in the summertime when we have an abundance of fresh cilantro in the market. 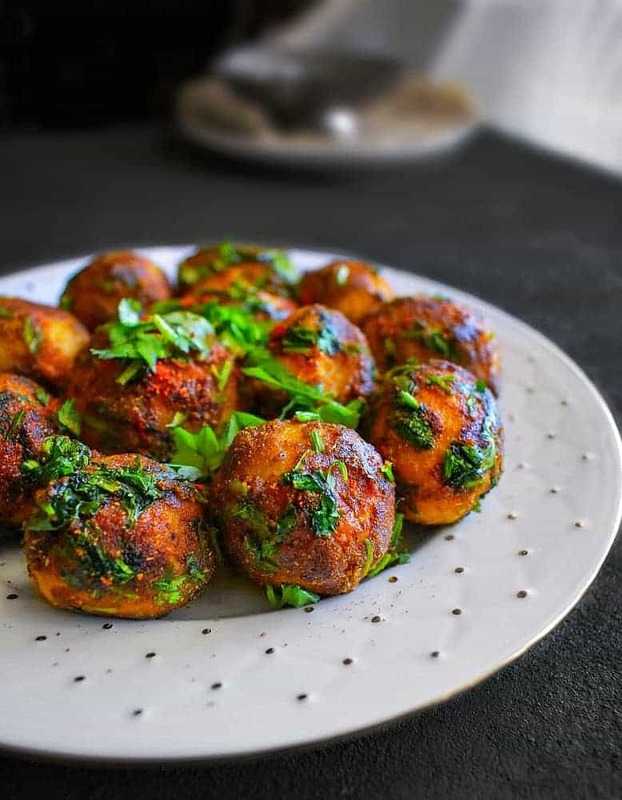 As popular as these Spicy Indian Potatoes with Cilantro are, they are equally easy to prepare. They are mostly prepared using baby potatoes, however, any potatoes would do. If you are using large potatoes, then just cut them into a quarter for a similar shape. Once made, they can be kept in an air-tight jar in the fridge for upto 2-3 days. 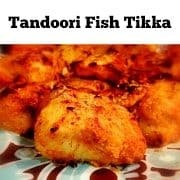 They make an excellent entree or side dish that can be served in an Indian or Indian inspired meal. 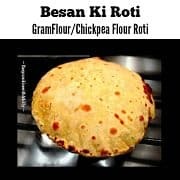 I personally love eating them with hot Indian roti’s but just about any bread/rice or grain would do. 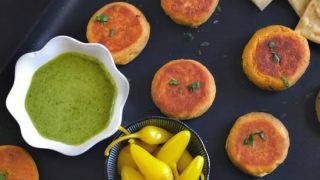 Go ahead and try these quick, delicious Spicy Indian Potatoes with Cilantro and enjoy this summertime inspired meal. 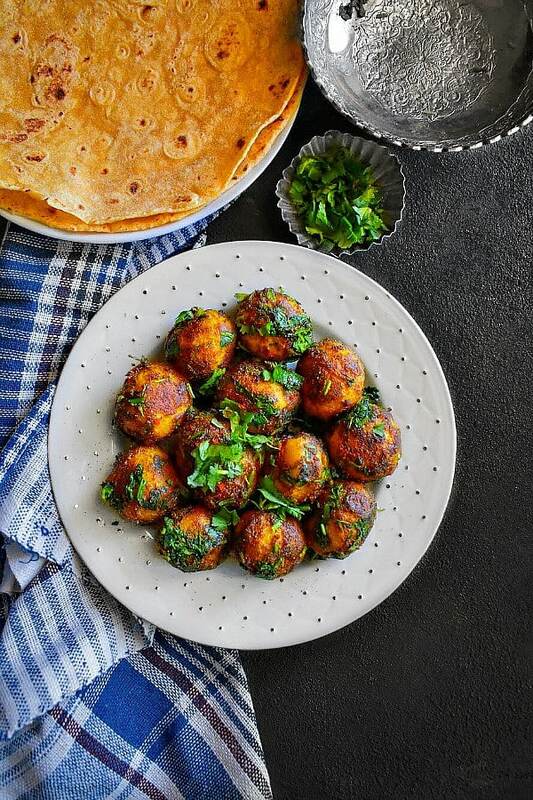 Spicy Indian Potatoes with Cilantro: pan roasted potatoes in a mix of fresh cilantro, basic spices + curry powder. 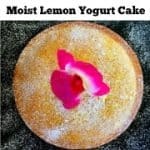 It has an amazing lemony-cilantro flavor that’s perfect to perk up the taste buds. In a large pot or pressure cooker, add washed potatoes + water. Close the lid and boil the potatoes or cook in pressure cook till the potatoes are cooked thoroughly (follow the steps you use to boil any potatoes). Once the potatoes are cooked, transfer them to a strainer and wash with cold water to bring to normal temperature (this helps stop further cooking or softening the potatoes). Heat 3 tsp oil in a large non-stick pan. Now add cumin seeds and saute for 30 seconds. 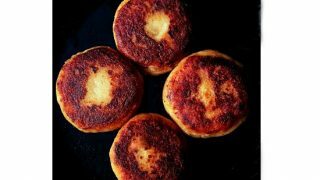 Add onion, ginger+garlic paste and saute for 2 minutes over low flames. Now add the remaining spices and saute everything evenly. Cook this mixture for 1 minute over low heat. Now add the boiled potatoes, chopped cilantro and lightly coat each of them with this mix. Add the remaining 1 tbsp oil and saute everything. Cover this with a lid and let this cook for 3-4 minutes over low heat. Finally, remove the lid and saute everything lightly. Scrape any mix or potatoes stuck to bottom of the pan or sides. Add 2 Tbsp water and saute cook for 1 minute. 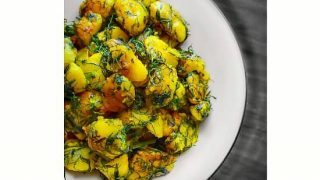 Turn off the heat and transfer the 'Spicy Indian Potatoes with Cilantro' to a serving dish. Sprinkle some fresh cilantro on top and enjoy with flatbreads/roti or rice. 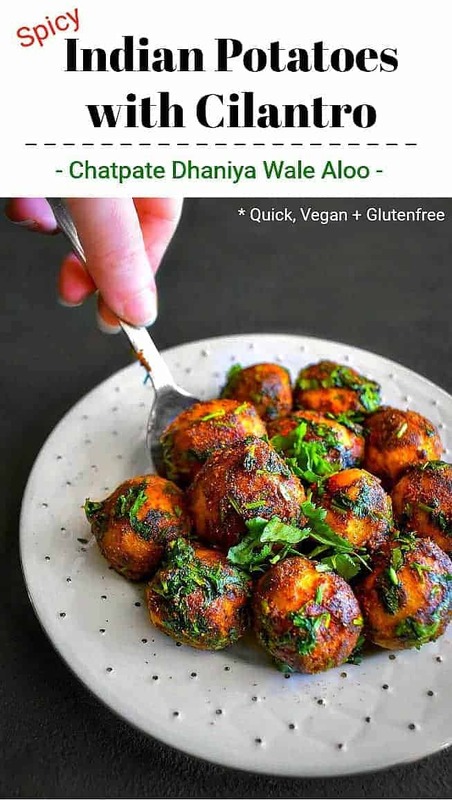 No Replies to "Spicy Indian Potatoes with Cilantro (Dhaniya Wale Aloo)"